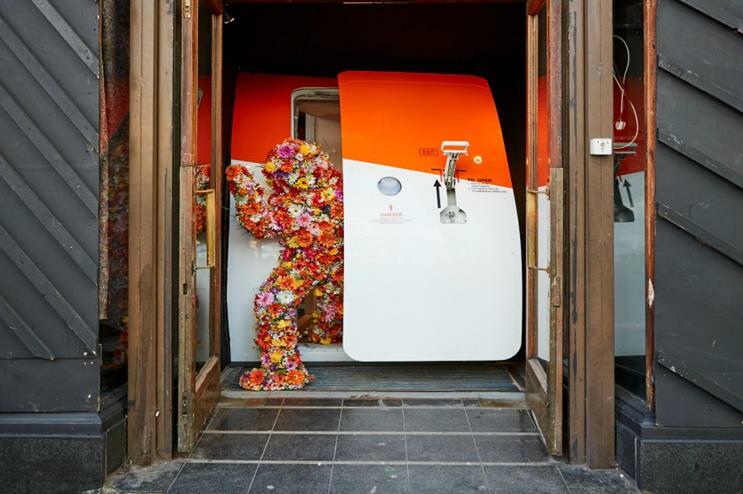 Easyjet has installed a mysterious plane door in London, as the airline bids to inspire people to travel. Through the door, 'located' at Shoreditch's N&C Showrooms, an installation provides a show-stopping, immersive experience designed to inspire people to travel. In place today (14 October) and tomorrow, the experience will take visitors on a whistle-stop tour through contemporary Holland guided by a full cast of live actors. Curious passers-by will be instantly transported into a world where they can expect intriguing characters, larger-than-life surroundings and plenty of surprises along the way. Ian Cairns, head of brand and marketing services at Easyjet, said: "Generation easyJet are adventure-seekers and this bespoke, immersive activation totally reflects the fun, energy, exuberance and inclusivity of our brand. We can’t wait for people to experience Holland’s amazing sights without leaving central London. We, along with our partners the Netherlands Board of Tourism & Conventions, wanted to bring something special to Londoners and show them first-hand what Holland has to offer to inspire them to travel." Those unable to experience it over the two days will still be able to see it via a 360-degree film – produced using the latest technology to capture immersive footage of the activation – and a chance to win their very own Why Not? adventure in a special flight giveaway. Sandra Ishmael, director UK & Ireland at the Netherlands Board of Tourism and Conventions said: "We are delighted to work with Easyjet and Amsterdam Airport Schiphol to ‘bring Holland to life’ in such a unique and captivating way. The experience really showcases the true essence of Holland and why it continues to be such a major destination for visitors from the UK." The event is being produced by VCCP Kin and experiential agency Bearded Kitten. The 360-video was developed in partnership with Bearded Kitten and Motion Pixel. Easyjet installed a photo wall at Liverpool Street station over the summer, to promote its flights from London Stansted airport.